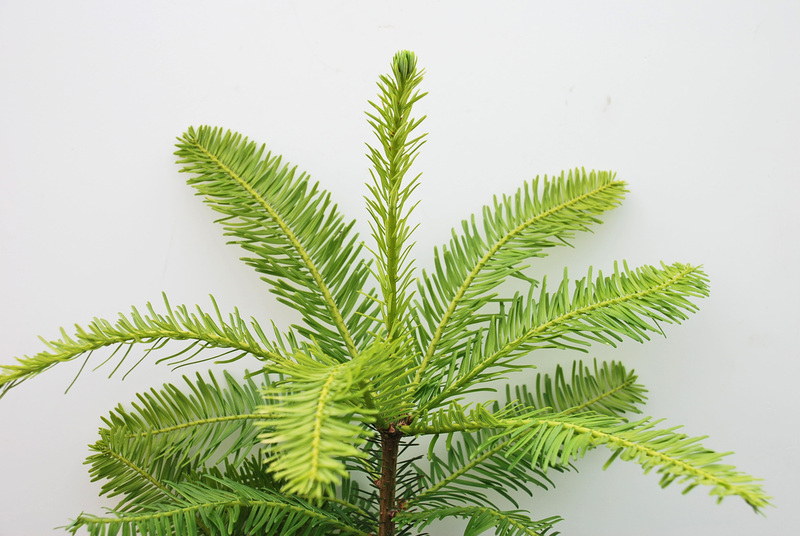 A fast growing fir, which grows a straight bole. Best in valleys and sheltered sites. Strong aromatic foliage. 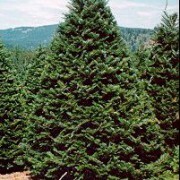 Abies Grandis (Grand Fir)- This fast growing fir can grow up to between 40-70meters in height. 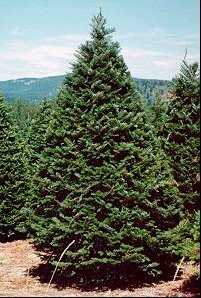 The Grand Fir has a straight upward bole habit with flattened needle-like leaves. The leaves are a dark green gloss with two silver bands stretching along the underneath. Strong aromatic foliage. Cones: The cones mature from light green to a red/brown. Timber: The timber is a pale cream/white, so is used in the paper making industry. 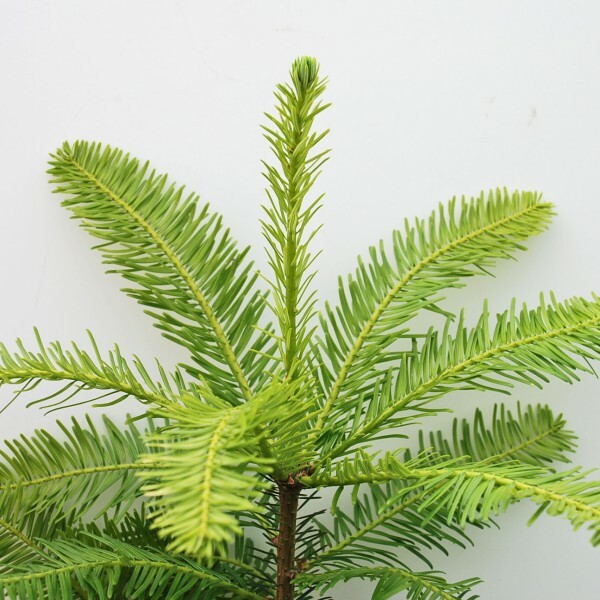 Yet, its aromatic foliage makes it an increasingly popular Christmas tree. Soil Types/Habitat: The Grand Fir grows best in deep, moist but well drained, acidic soil. It is shade tolerant and likes heavy rainfall, so is mostly seen in the northern and western areas of the UK.